These are just a few of the many wonderful messages of support and love I received...I also received some beautiful e-cards. I can't thank those of you who have shown your love and support to me enough! I hope that, to those of you who have lost little ones yourselves, that I in return have been able to give back at least half the support you have given me. both our baby girls that were due tomorrow. Melanie, my thoughts and prayers are with you tomorrow. Melanie, I am thinking of you today...wondering how you are doing. 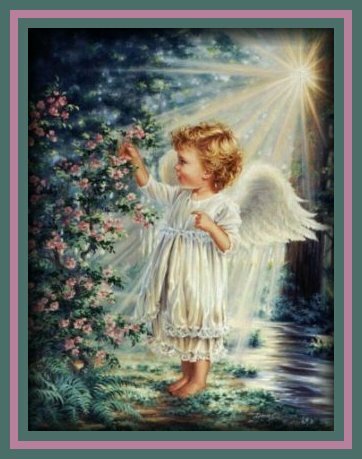 your angel is with you today! ((((Bear Huggs)))) Melanie.. I'm thinking about you today. I will be thinking of you and your princess tomorrow - thinking of what should have been. I thought these lyrics, listed below, were appropriate to dedicate to all my friends ...especially those of you who have suffered losses of little ones yourselves.